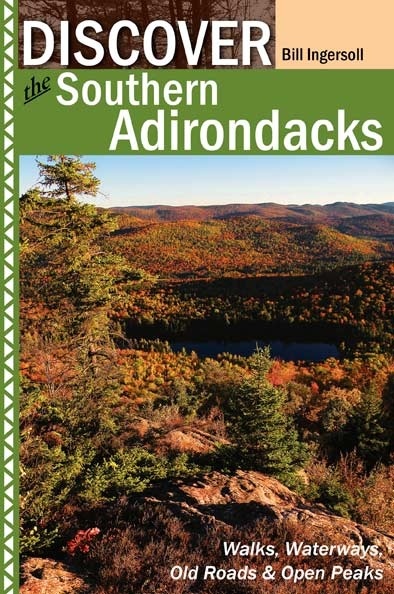 Originally published in 1974 as Walks and Waterways: An Introduction to Adventure, this guidebook is the latest edition of the first hiking guide devoted exclusively to the southern Adirondacks. It remains the most thorough guide available, covering not only the marked trails but all of the traditional footpaths and the best bushwhacks as well. Although the southern Adirondacks lie only a few miles from Gloversville, Saratoga Springs, and Glens Falls, the state acquired these forests at an early date. As a result, the region boasts a low road density and an extensive amount of wild, open spaces. Though logged in the nineteenth century, large portions of the woods have had sufficient time to return to near old-growth conditions. The southern Adirondack region is a vast forest stretching from the West Canada Creek to the Hudson River, with some of the largest blocks of contiguous state land in the Adirondack Park. There are upwards of 400,000 acres of public wilderness and wild forest lands to explore, with hundreds of ponds and mountains. Pockets of virgin old growth spruce are intermixed with reforested farmland, and old roads lead to the sites of historic settlements. Only a few of the trails seem crowded in the summer; the rest are places where you can savor the solitude. This is where wilderness connoisseurs come to explore some of the wildest public lands New York State has to offer. Lakes and ponds are in abundance, ranging from boggy pools to larger bodies of water with productive trout fisheries. One of the joys of exploring this region is to fall asleep beside a moonlit pond as a loon calls out for company, or beside a swift-moving stream under a ceiling of hemlock boughs. Waterfalls are so common that mapmakers only marked the locations of the most prominent sites—but our coverage is a bit more thorough. This guidebook lists more than twenty-five trailless hills and mountains with outstanding views, as well as seven peaks that can be reached by trails (four of which are fire tower summits). Spectacular Crane Mountain is the highest peak in the region with an elevation of 3254 feet. It rises 1900 feet from the valley below, with a rocky face that is unparalleled in the region. It looks very much like one of the celebrated High Peaks, although it falls short of official recognition by a matter of 746 feet. An entire chapter has been devoted to this popular peak, with a fascinating historical overview as well enticing descriptions of all the mountain's trails: the ones that appear on official maps, and the ones that don't. Another key highlight of this edition is its coverage of the Northville-Placid Trail, which was rerouted in 2014 in the vicinity of Woods Lake. A chart has been included that lists all the key landmarks—lean-tos, campsites, points of interest—with their distances from the Benson and Piseco trailheads. 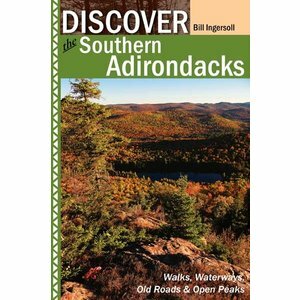 This edition of Discover the Southern Adirondacks features updated trail information, new discussions on the area's history, dozens of photographs, many new route descriptions, suggestions for extended backpacking trips, and newly redesigned trail maps—making this the definitive guide to this outstanding region.